This listing displays the price and teacher assigned to each improvisation course. See Testimonials. Breathe, take your time, explore, enjoy yourself, enjoy others. Locals and foreigners welcome. Book any course with a 50% deposit using or any . Click dates below for more info and bookings. Use Guidelines to choose the best course for you. Contract this listing. Impro Saturday All Levels Taster, Apr 20, 10.45 am to 12.45pm in South London . Fee for 1 session: £15. Consession: £12. Your Teacher is Marianne Hooper. Impro Monday Beginner Course from Apr 22 to May 20, 6 to 8 pm in Central London . Fee for 5 sessions: £128. Concession: £116. Your Teacher is Remy Bertrand. Impro Monday Improver Course from Apr 22 to May 20, 8 to 10 pm in Central London . Fee for 5 sessions: £128. Concession: £116. Your Teacher is Remy Bertrand. Impro Tuesday Improver Course from Apr 23 to May 21, 6 to 8 pm in Central London . Fee for 5 sessions: £128. Concession: £116. Your Teacher is Remy Bertrand. Impro Tuesday Beginner Course from Apr 23 to May 21, 8 to 10 pm in Central London . Fee for 5 sessions: £128. Concession: £116. Your Teacher is Marianne Hooper. Impro Wednesday Advanced Course from Apr 24 to May 22, 6 to 10 pm in Central London . Fee for 5 + 1 sessions: £186. Concession: £174. Your Teacher is Remy Bertrand. Impro Sunday All Levels Taster, May 5, 11.30 am to 1.30 pm in South London . Fee for 1 session: £15. Consession: £12. Your Teacher is Marianne Hooper. Impro Saturday All Levels Taster, May 18, 4 to 6 pm in South London . Fee for 1 session: £15. Consession: £12. Your Teacher is Marianne Hooper. Impro Sunday All Levels Taster, Jun 2, 11.30 am to 1.30 pm in South London . Fee for 1 session: £15. Consession: £12. Your Teacher is Marianne Hooper. Impro Monday Beginner Course from Jun 3 to Jul 1, 6 to 8 pm in Central London . Fee for 5 sessions: £146. Concession: £128. Your Teacher is Remy Bertrand. Impro Monday Improver Course from Jun 3 to Jul 1, 8 to 10 pm in Central London . Fee for 5 sessions: £146. Concession: £128. Your Teacher is Remy Bertrand. 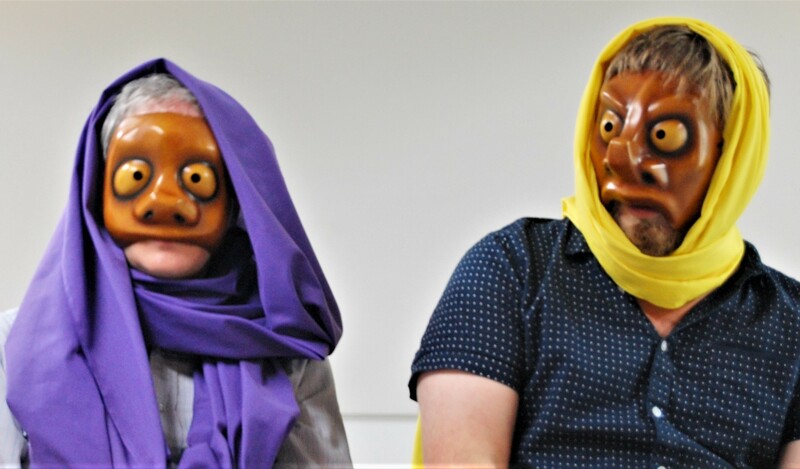 Impro Tuesday Improver Course from Jun 4 to Jul 2, 6 to 8 pm in Central London . Fee for 5 sessions: £146. Concession: £128. Your Teacher is Remy Bertrand. Impro Tuesday Beginner Course from Jun 4 to Jul 2, 8 to 10 pm in Central London . Fee for 5 sessions: £146. Concession: £128. Your Teacher is Marianne Hooper. Impro Wednesday Advanced Course from Jun 5 to Jul 3, 6 to 10 pm in Central London . Fee for 5 sessions + 1: £206. Concession: £194. Your Teacher is Remy Bertrand. Impro Summer School Intensive, Sun 25 Aug to Sun 1 Sep, 10 am to 8 pm in Greece . FeeFee for 8 days: £450. Consession: £410. Your Teacher is Remy Bertrand.